This Black Friday Has a Rose In It! As Black Friday is just around the corner, we are really excited to announce that Cosmetics Bulgaria will participate with irresistible discounts and offers for the first time this year and it’s bound to be interesting! We have our hands full with crafting the campaign, stocking up on your favourite products and samples and to help shed light on what you can expect from our exclusive ‘Black Rose Friday” campaign and how to make the most of it. Keep on reading for some good tips to navigate your Black Friday shopping on Cosmetics Bulgaria. Our ‘Black Rose Friday’ campaign starts at 12:01 am on Friday (UTC+02:00) and ends on Sunday 11:59 pm (UTC+02:00). ALL products will be available here. We have prepared discounts starting from 10-15% and going up to as far as 70% on selected products and manufacturers. The discounts are calculated on top of the regular product prices and will be available until the end of the campaign. You will at all times see the old product price and will be able to calculate how much you are saving. Any promo codes that you were granted by us are fair game for all products that are not discounted. Create an account. Fill in your details so you are ready to shop and browse the offers on the day without wasting time to register. You will also be able to benefit from accumulating bonus points. You can register here. Sign up for our newsletter. We will send an e-mail to everyone when the discounts are up. In the e-mail you will familiarize yourself with some of the best offers and buys with quick links to these. Our newsletter will allow you to access them without wasting any time searching. The button is located on the bottom right side of our home page. All you need to do is insert your e-mail. Click on the pink button. Start now. Add some of your products to favourites. When the discounts are up see which favourites of yours have been discounted. Add them straight to your cart. Try something new. In crafting our discounts and promotions we undertook an important mission to heart. 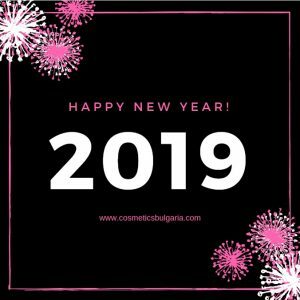 To make a larger variety of our products affordable and accessible so you can get the ultimate Cosmetics Bulgaria experience, which lies in the amazing variety we offer. We have a large portfolio of superb products that we want to put in the spotlight. 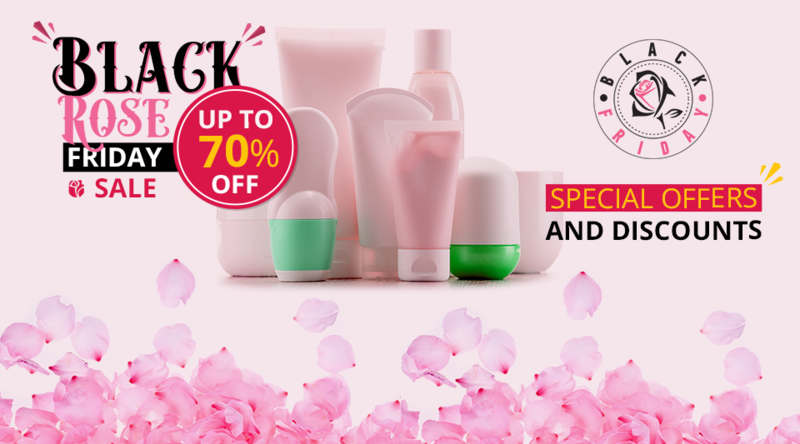 Take advantage and explore our professional selection of cosmeceuticals, organic ranges, yoghurt and rose-infused beauty products, snail extract regenerating skincare routines, shampoos, shower gels and body creams, scrubs and bundles for problematic, sensitive and mature skin. We will have a dedicated page where ALL promoted products will be put together and you can freely browse them. If you prefer to shop by brands or concerns, look for the ‘Black Rose Friday’ stamp. It will distinct the products that have been discounted among others in the category. We have selected a variety of products for face, hair and body, including natural and organic products. There will be something for everyone: problematic skin, mature skin, sensitive, normal and dry skin. Men and kids won’t be excluded and some of our best ranges for men care and baby care will also be discounted! 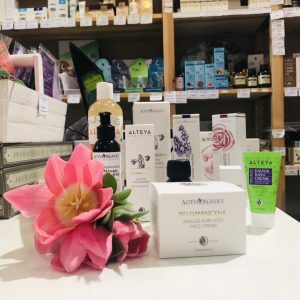 Some of the brands that will be discounted include, but are not limited to Alteya Organics, Biofresh, Bodi Beauty, Bulgarian Rose Karlovo, Dr. Derm, Natural Cosmetic, Revive, Wooden Spoon and others! As expected during this time of the year following Black Friday and Cyber Monday, the courier and postal services are typically overloaded as we will be also. There may be delays in deliveries. Orders made on or around Black Friday might be processed and shipped with a slight delay, despite the delivery method chosen. All orders will be processed on a first come first serve basis. We thank you for your understanding! Happy shopping and don’t forget you can contact us if you need any help!